The turnstiles commuters will have to go through to get to SEPTA Regional Rail trains at Suburban Station. Change is coming, Regional Rail riders. 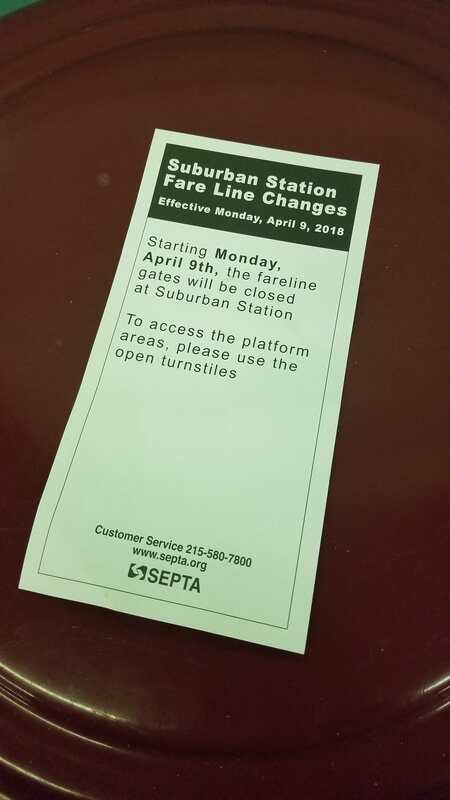 Starting Monday, April 9, commuters who use the train service via Suburban Station will no longer be able to walk through the fareline gates to get to their trains. Instead, they will have to pass through the recently installed turnstiles, where ticket vendors will be stationed. 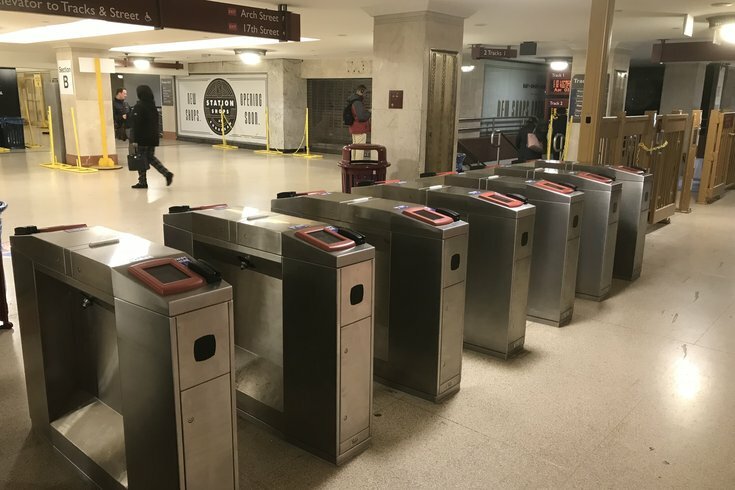 The decision is meant get travelers into the habit of using the turnstiles for when they eventually will be using the SEPTA Key card to access the Regional Rail, SEPTA spokeswoman Heather Redfurn said. Commuters walking through the Center City station have been notified of the coming change with flyers in recent days. The Key, essentially a SEPTA debit card, is currently only used for the Broad Street Line, Market-Frankford Line, trolleys and buses. Redfurn could not give a specific date when the SEPTA Key will be required to travel on Regional Rail. However, she said the plan was to have the necessary technology running at Suburban Station sometime later this year. SEPTA is transitioning from the use of physical tickets to the SEPTA Key for Regional Rail travel. The transit agency is starting in Center City and moving outward, Redfurn said. Currently, the technology is being tested at all Regional Rail stations.